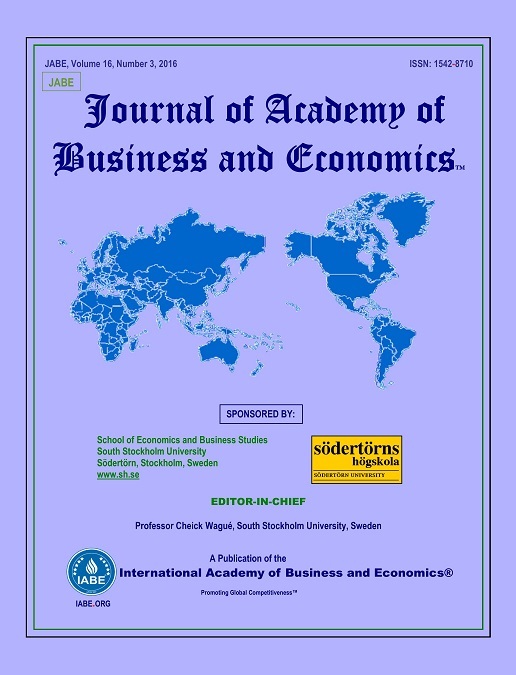 The International Journal of Strategic Management (IJSM) is a peer reviewed journal published by the IABE. 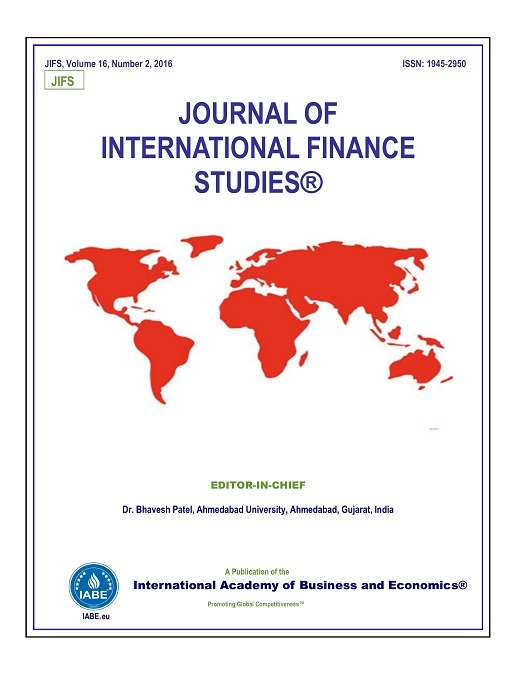 International Journal of Strategic Management (IJSM) is an academic journal published by the International Academy of Business and Ecomomics. The aim of IJSM is to provide original research articles related to key concepts and theories in the strategic management field. Frequency: There is 1 issue of IJSM published each year. It is published in October. 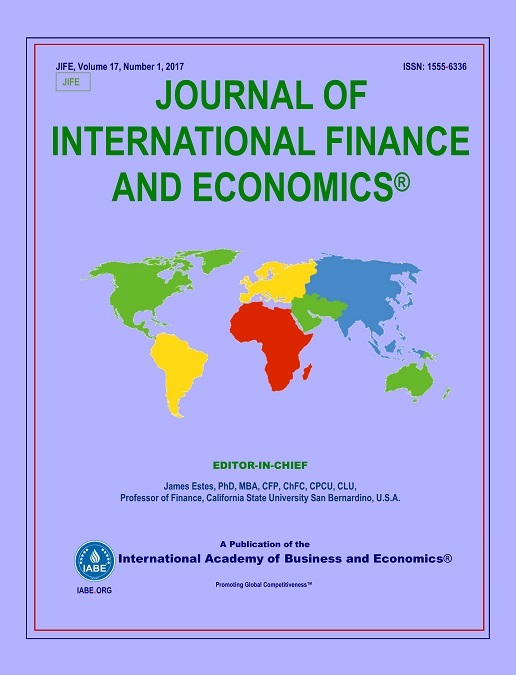 Occasionally this journal publishes special issues on specific topics related to the focus of the journal. 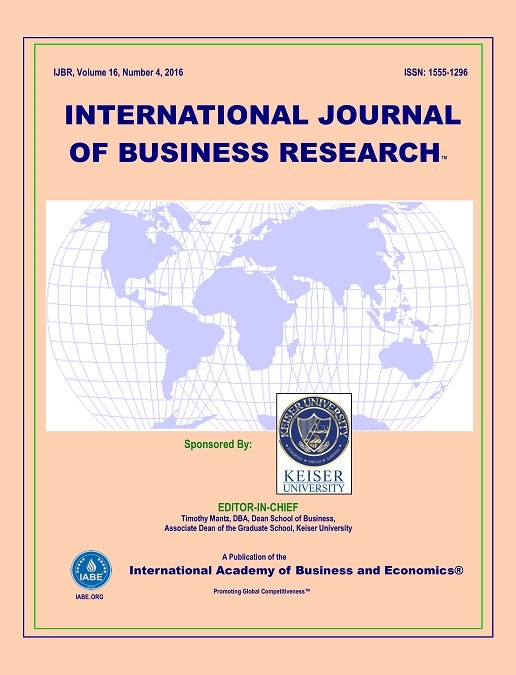 The journal focuses on the following topics: Leadership, Managing Small, Medium and Large Sized Ventures, Negotiations, Competitive Strategies for Dynamic Environments, Risk Management, Competition, Innovation, and Strategy, Managerial Decision Making, Project Management, Leading Strategic Innovation in Organizations, and Strategic Management. 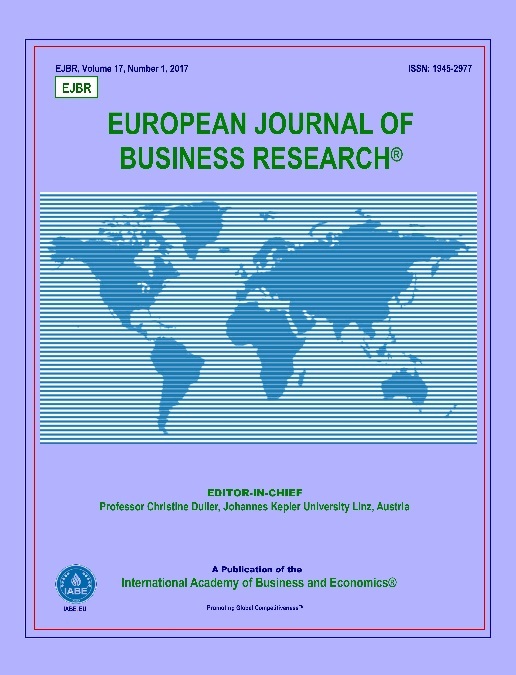 All articles published in International Journal of Strategic Management undergo a rigorous, double-blind, peer review process by leading experts. The review process normally takes 4 to 8 weeks. When the review process is complete, the editor will inform the author(s) about the results of the evaluation process. Based on each reviewer evaluation, the Editor will accept the manuscript for publication (without any improvement, with minor revision, with major revisions) or will reject it. 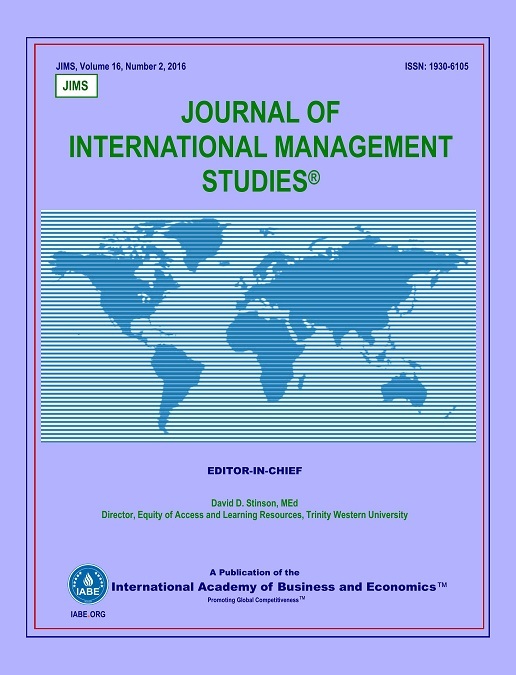 If a paper/case is accepted for the International Journal of Strategic Management, the author(s) is invited to submit the final manuscript for publication in IJSM and to present the paper at one of the IABE Conferences. Editors will verify that the final manuscript includes all changes requested by reviewers and that it meets all other requirements before publication. 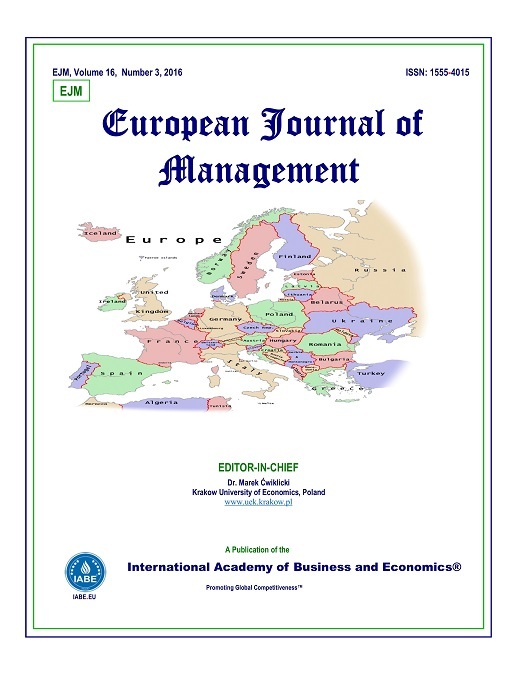 The International Journal of Strategic Management (IJSM) is an academic journal published by the International Academy of Business and Ecomomics. Frequency: There is 1 issue of IJSM published each year. It is published in October. In some cases, it is possible for there to be a special issue of IJSM. 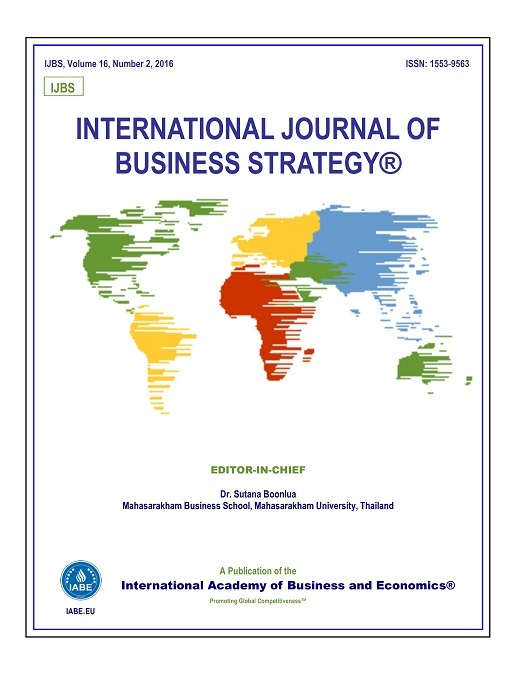 The International Journal of Strategic Management is published by the International Academy of Business and Economics (IABE), along with 10 other refereed journals. 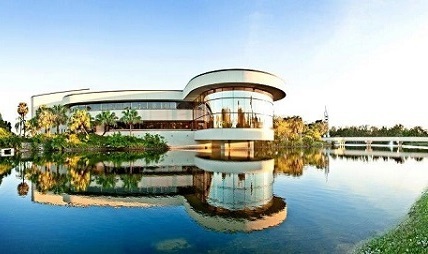 Dr. Ravi Chinta, Nova Southeastern University, U.S.A.
Dr. Douglas Eglington, Walden University, U.S.A.
4. Once the author(s) submit a final version of their paper, the editor will verify that all revisions have been made and formally accept the paper for publication in the International Journal of Strategic Management. There is no fee to submit a paper for review. However, the fee to publish an accepted paper is $75 USD + $35 USD per page. In order to apply to sumbit a paper to IJSM, you must first have an account with ijsm-journal.org or one of IJSM's publishers' websites. If you already have an account with one of our publishers websites, iabe.org or iabe-doi.org, click the Login button below. If you do not have an account, setting one up is free and easy. Simply click the Sign Up button bellow. Scroll down to find links to and information about each organization that IJSM is indexed with. I want to submit my paper to the International Journal of Strategic Management (IJSM), does it fall within the scope of the journal? 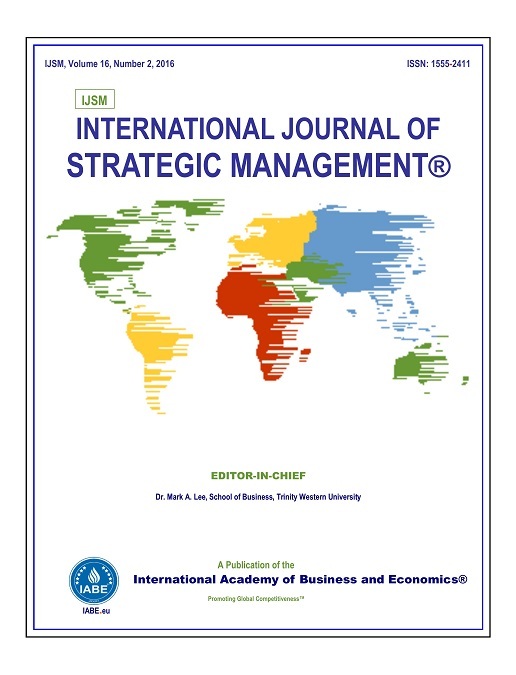 The scope of the International Journal of Strategic Management (IJSM) includes the following topics: Leadership, Managing Small, Medium and Large Sized Ventures, Negotiations, Competitive Strategies for Dynamic Environments, Risk Management, Competition, Innovation, and Strategy, Managerial Decision Making, Project Management, Leading Strategic Innovation in Organizations, and Strategic Management. Is IJSM an indexed journal? IJSM is indexed with and included in Excellence in Research for Australia (ERA), ECONLIT, American Economic Association, EBSCO Publishing, Ulrich's International Periodicals Directory, Index Copernicus, VHB, Research Bible, NSD, and CNKI. Yes, IJSM is a refereed journal. It uses a double blind review process. Yes, IJSM is published both in print (ISSN: 1555-2411) and online (e-ISSN: 2378-8615) versions. Is IJSM an open-access journal? No, IJSM is a subscription journal. Each article published in IJSM is assigned a DOI link through CrossRef. Anyone can follow the link to a page that has the title, author information, abstract and an option to purchase electronic or printed copies of the article or the journal issue containing the article. 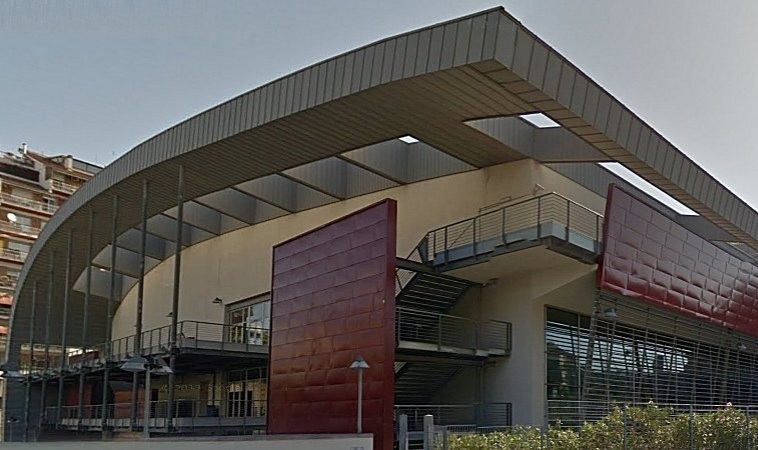 What type of paper does IJSM publish? IJSM publishes original papers, review papers, conceptual framework, analytical and simulation models, case studies, empirical research, technical notes, and book reviews. Does IJSM publish special issue? 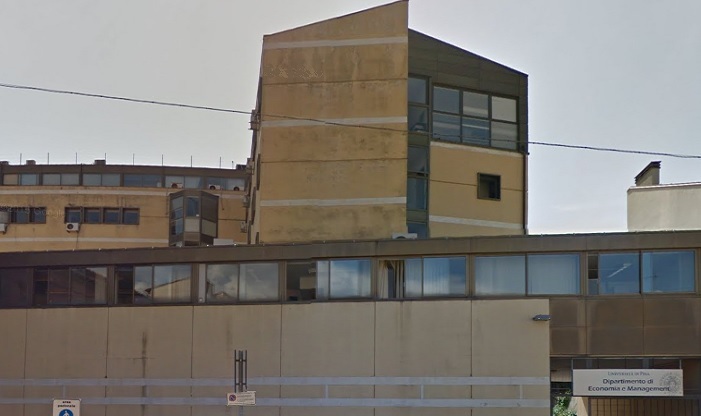 Who is the publisher of IJSM? 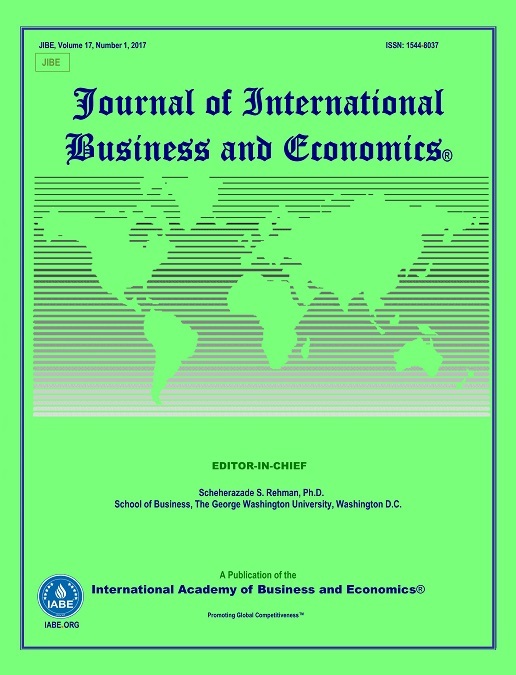 IJSM is published by International Academy of Business and Economics (IABE), USA. I want to submit my paper to IJSM. How should I submit it? Does IJSM have ‘manuscript submission guidelines’? Does IJSM require any publication fee? I want to know about the copyright policy of IJSM. I want to subscribe to IJSM. How can I place an order? What is the frequency of publication of IJSM? There is 1 issue of IJSM published each year. It is published in October. 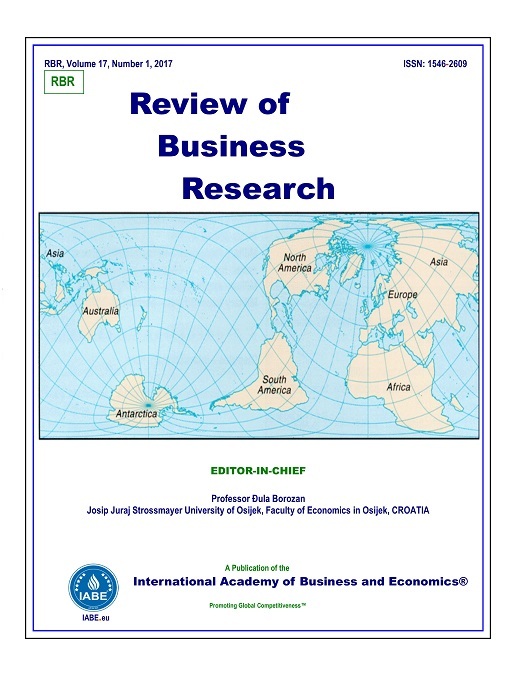 The International Journal of Strategic Management (IJSM) is a peer reviewed journal published by the International Academy of Business and Economics (IABE). The IJSM Editorial Board is inviting all papers relating to the following topics. In order to apply to be a Reviewer, you must first have an account with ijsm-journal.org or one of IJSM's publishers' websites. If you already have an account with one of our publishers websites, iabe.org or iabe-doi.org, click the Login button below. Otherwise, you can create an account by clicking the Sign Up button bellow. In order to apply to be a Editorial, you must first have an account with ijsm-journal.org or one of IJSM's publishers' websites. If you already have an account with one of our publishers websites, iabe.org or iabe-doi.org, click the Login button below. Otherwise, you can create an account by clicking the Sign Up button bellow. 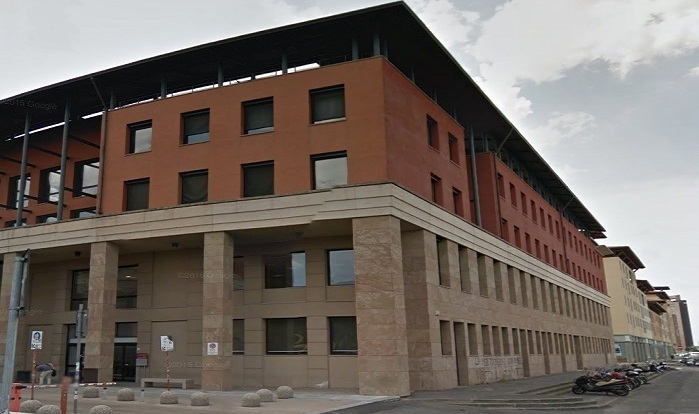 As of 2013, all articles published in the International Journal of Strategic Management are assigned DOI's and have individual article webpages. You can search through these articles here. Each article displayed in the result section will include a "DOI" link that you can click to go to a specific article's page. 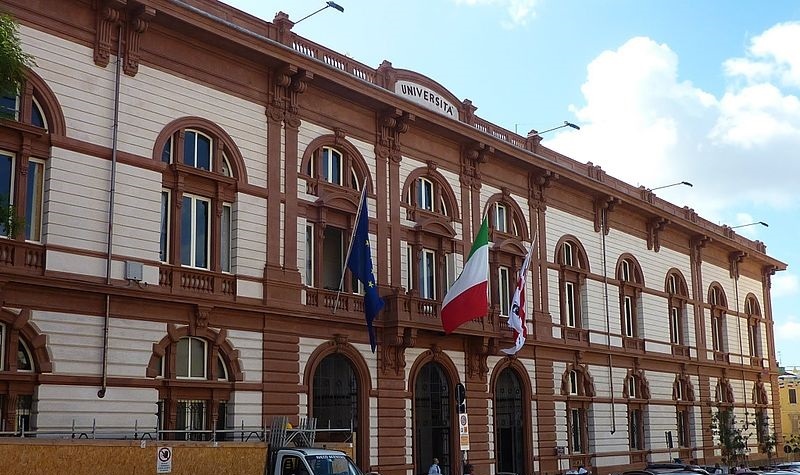 The one year subscription rate for the International Journal of Strategic Management is $700.00 USD. You can subscribe by mail by downloading our subscription form here and following the instructions on the form. You can also subscribe online and pay for your subscription with paypal. 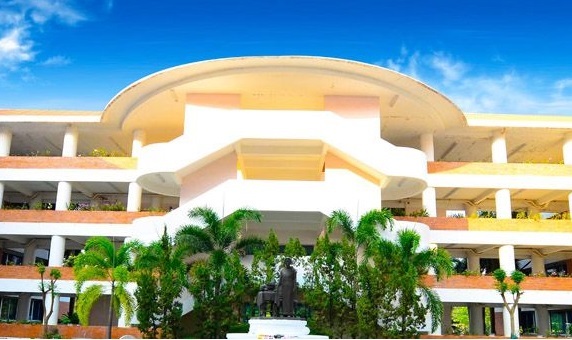 To subscribe online, you must first have an account with ijsm-journal.org or one of IJSM's publishers' websites. If you already have an account with one of our publishers websites, iabe.org or iabe-doi.org, click the Login button below. Otherwise, you can create an account by clicking the Sign Up button bellow. 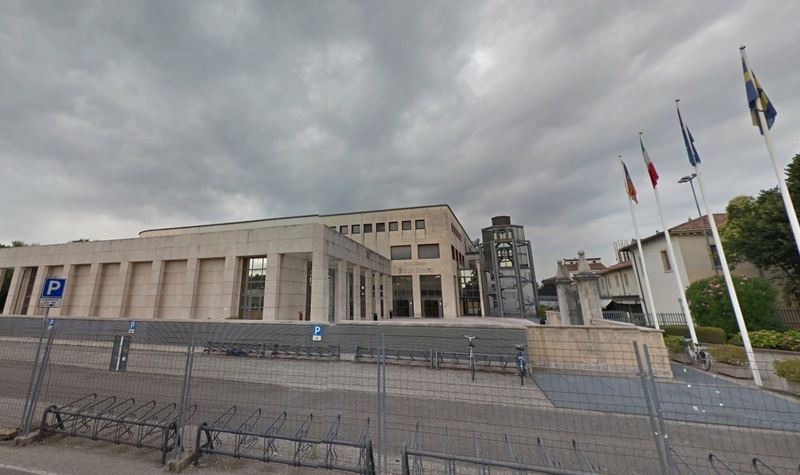 If, either on their own, or through correspondence with members of the scholarly community, the managing editor of the International Journal of Strategic Management concludes that an article meets one or more of the following conditions, the article will be retracted. All articles pulbished in IJSM are archived with Portico. 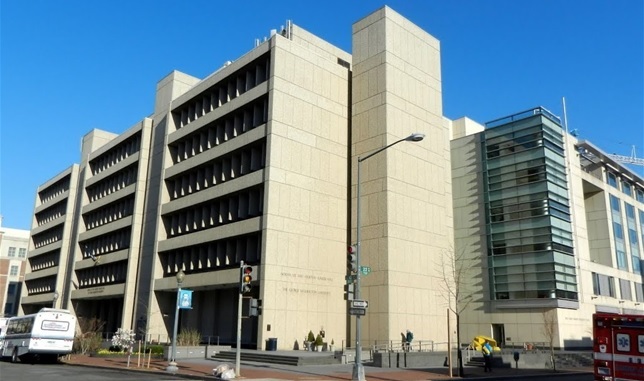 Portico is among the largest community-supported digital archives in the world. Working with libraries and publishers, Portico preserves e-journals, e-books, and other electronic scholarly content to ensure researchers and students will have access to it in the future. © 2019 IJSM-JOURNAL.ORG. All Rights Reserved.